Hi there! Today's post is a quick one because if you've been following along on social media, you'll know that I've been spending the past few days as a blogger for the ENK Coterie. 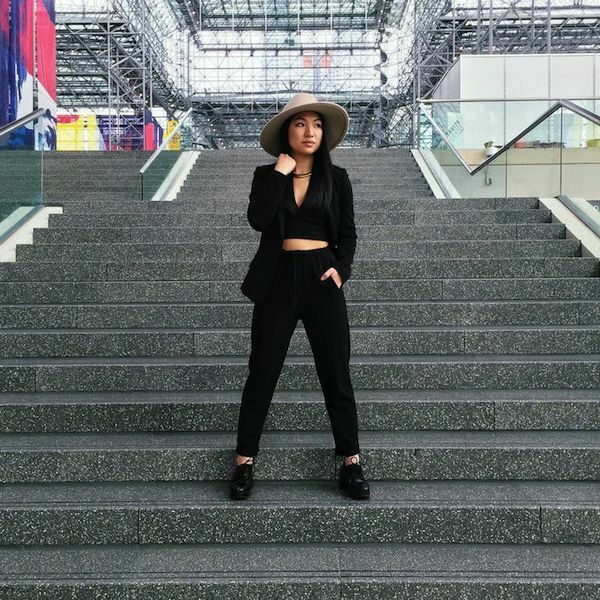 The Coterie is a massive trade show at which buyers for apparel and accessories view and purchase new collections to sell in stores from brands ranging from Current/Elliot to DVF. It was also the place of my first fashion-related volunteer experience as a college student. I have had the amazing opportunity to be a part of the Blogger Incubator at the Coterie, where I've joined a few other fabulous influencers to show you what the event is all about. Today's photos are especially exciting because they were shot by the super talented Patrick of @aguynamedpatrick (aka the 2014 CFDA Instagrammer of the Year). 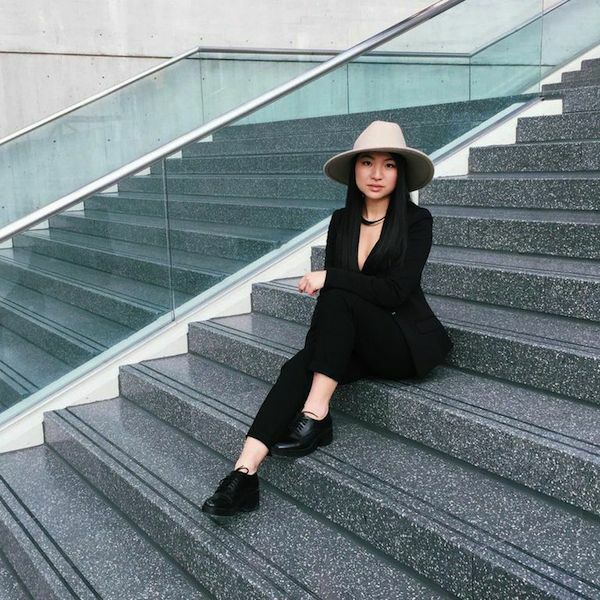 I rarely get the chance to dress up like this outside of my blog posts, so I took full advantage with an all-black ensemble and my favorite hat. Keep following along to see what else I'm wearing and loving at the Coterie -- today is the last day! Great outfit especially the fedora <3 Pretty! Have a nice day, Christina! Thanks Shaira!! I followed back! that's amazing!! looks like a great event to be a part of! you look fierce in this ensemble, girl! Thank you Janine!! You're so sweet! You look stunning in your all black ensemble :) That must be such a cool experience- attending a trade show. Have fun! Thanks Gabby! You're always so sweet! You are stunning! I love everything about this look!!! Lovely, lovely outfit! I love the all black look with the hat! And I'm so jealous. I follow Patrick on IG and his work is amazing! i love those poses -- these photos are really cool! It is really help to us. Its give us lots of interest and pleasure. Its opportunity are so fantastic and working style so speedy. Its really a good article. It gives me lots of pleasure and interest! This web website is great and so is how the topic was described. I also like some of the opinions too. With tolerance anticipating to the next publish. Thanks for mentioning to information, I really like your all publish. I can help you to protect your blog website web website for upcoming up-dates. We provide fully standard and customize templates free to use with website development. Thankful for one another post that is unquestionably outstanding. The district for the most part may simply get that sort of course to forming immaculate, in this kind of strategy which will be? Sanjay Precision Industries we are the solid suppliers of the top of the line BrassKnurled Pins, Small Plug Pins which is utilized in different mechanical stages. The item is broadly utilized and is along these lines altogether tried for its strength under different set parameters. The crude materials used to fabricate and construct this item are obtained from solid sources. We guarantee that this item displays extraordinary incentive to the cash of our customers.